Dr. Oscar Boultinghouse became the 3rd Medical Director in the history of the City of La Porte Emergency Medical Service in August 1997. Dr. Oscar Boultinghouse has over 30 years experience in the field of emergency medicine and has been extremely instrumental in developing a set of advanced and cutting edge Standing Orders for the paramedical staff here at LPEMS. Such advanced procedures include Rapid Sequence Induction (RSI), Retrograde intubations, CPAP, Sternal IOs, Induced Cooling by EMS (I.C.E.) and many more. Dr. Oscar Boultinghouse is very involved with the on-going training of all LPEMS staff and is very well respected in the EMS community. 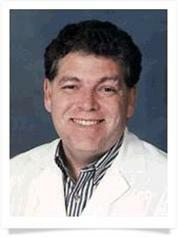 Dr. Boultinghouse was a professor of emergency medicine at University of Texas Medical Branch (UTMB) in Galveston from 1994 until 2008. During a part of that time, Dr. Boultinghouse was the medical director for the UTMB Galveston Life Flight program which was forced to shut down due to funding in 1997. Dr. Boultinghouse is currently the Senior Vice President of NuPhysicia, a world-wide leader in advanced telemedicine services.